CBSE SAMPLE PAPERS CLASS 12th – Every student has certain aim regarding their future, some aim to step in the IT field while others aim to become a doctor. However, for getting enrolled in any good university or college, you need to get good grades in CBSE class 12th examination. Getting high grades in class 12th examination is a hard but to crack as the syllabus is too vast and detailed. Many students are not able to get high grades and many fail to pass the CBSE class 12th examination in the first attempt. Patrachar Vidyalaya provides a second chance to students who get poor grades or fail in class 12th. You can easily fill the Patrachar Vidyalaya admission form 2017 for reappearing in the CBSE class 12th examination. For improving your grades in any of the subjects you can fill CBSE improvement form 2017. Patrachar Vidyalaya not only helps you to reappear in the examination but also help you in the preparation for the examination. 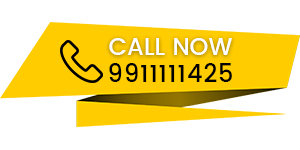 The Kapoor Study Circle provides special coaching classes to students and helps them to learn the entire syllabus in an easy manner. Teaching faculties at The Kapoor Study circle has experience of 5 to 15 years and thus know the requirements of students. Teaching professionals know which topics are hard for students and need more attention. Faculty members at The Kapoor Study circle are always available for helping students as well as for clearing their doubts. 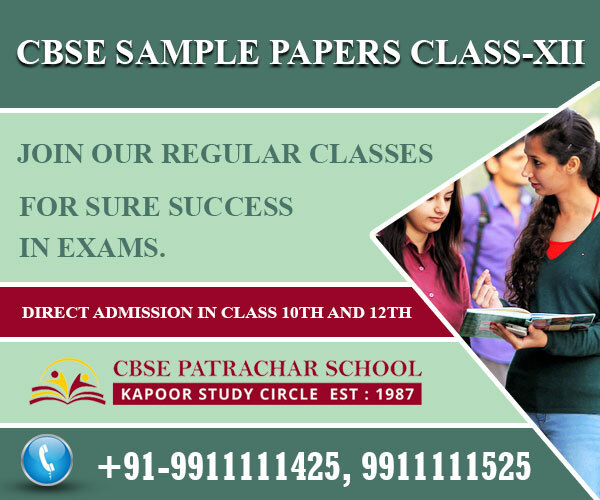 In addition, Patrachar Vidyalaya also provides sample papers for all the subjects of CBSE class 12th i.e. Physics, Maths, Economics, Accounts, Chemistry, Biology and a lot more. These sample papers are specially designed to help students study more in a short span of time. Sample papers provided by Patrachar Vidyalaya are guess papers as well as question papers of past years. The best part is that these sample papers are designed by the teaching professionals who are known to the examination pattern of CBSE Board. Sample papers are beneficial for all the students. Those who have gone through the entire syllabus can easily test their knowledge, undertake a quick revision and gain confidence before entering the examination hall. The ones who find it hard to study and memorize the entire CBSE class 12th syllabus can study these sample papers and prepare for the examination. These sample papers contain selected questions which are important for the examination, thus you can learn the same and pass the examination with good grades. Patrachar Vidyalaya provides sample papers along with the detailed solutions. Thus, you need not waste your time searching for the answers. You can easily click on the link below and download the sample papers along with the solutions given by the expert teaching professionals. Here, we are providing you with the sample papers to help you prepare for the examination and pass the same with high grades. Click on the links below and get access to the sample papers.